The 2013 Honda Civic Coupe is a solid pick for drivers who love the look and feel of a two-door vehicle, and enjoy the reliability of a Honda vehicle. The compact coupe also comes with some of today’s most requested features, including Bluetooth handsfree calling. These are just a few of the reasons that the 2013 Civic Coupe continues to be a favorite pick for Middletown and Mahwah drivers. With a similar starting price to the 2013 Civic Coupe, the 2013 Hyundai Elantra Coupe may be another option on driver’s radars. A better list of standard features may make the Civic Coupe a more attractive buy for some drivers, but let’s take a closer look at both options. Here is how the two models match up. 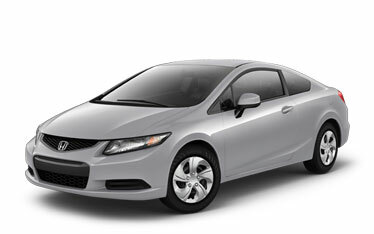 All 2013 Civic models come standard equipped with Honda’s i-MID multimedia system, including a five-inch LCD display screen. This infotainment system includes Bluetooth handsfree calling, music streaming, vehicle diagnostics, and more. The Civic Coupe also comes standard with a rearview camera, allowing you to clearly see what’s behind you while backing up. The 2013 Elantra Coupe is not available with this option. If you’re interested in learning more about the 2013 Civic Coupe, or any of Honda’s other current models, we encourage you to stop by our dealership. We’re located at 520 Route 211, in Middletown, New York. Have any questions? Feel free to contact our dealership. At Middletown Honda, we’re proud to continue to be one of the top places around Middletown and Mahwah to buy a new Honda. Our team looks forward to helping you find a car you’ll love to drive!